More details on Carbon Monoxide Poisoning in Mooresville. Please remind your friends and family to make sure their carbon monoxide and smoke detectors are working correctly. Also Lake Norman has areas of high radon. As Realtors, we often come across homes that need radon remediation in this area. The dots finally connected Sunday morning, when a screaming alarm woke an ill and wobbly-legged Mooresville family around 8:30.The four repeating beeps identified what had made the Freshwaters sick for days. Carbon monoxide, a colorless, odorless gas, was slowly poisoning Ted Freshwater, his wife, Jesi, and their three kids. First it was headaches, Freshwater said. Then dizziness. By Saturday morning, the two boys – 10-year-old Ashton and 6-year-old Nathan – had thrown up. Their sister, Alexis, had become so lightheaded that she had to sit on the bathroom floor where she passed out, she later told her father. The next morning, the alarm sounded, emergency personnel swarmed the house and four family members went to Lake Norman Regional Medical Center. Sixteen-year-old Alexis, who had spent the night at a friend’s house, was not home at the time. All four had elevated levels of the deadly gas in their blood and were released after a few hours, Freshwater said. “Everything didn’t really point back to (carbon monoxide) until after the fact, unfortunately,” he said. After the fact almost didn’t happen. For days, family members tried to understand why they were sick and achy. Perhaps it was the flu. Maybe it was food poisoning. Freshwater, 38, never thought about carbon monoxide. Still, he decided to check the home’s alarm Saturday night – the first time he checked it since the family moved from Ohio more than three years ago. A battery was put in backward. He replaced them. The next morning the alarm, situated about 10 feet from the home’s furnace room, sounded. Freshwater said he rolled out of bed a little disoriented and weak-legged. A 911 dispatcher told the family to evacuate. “With the batteries being incorrect, who knows, it could have been like this since we’ve been here,” said Freshwater, adding he felt better Monday than he has in months. 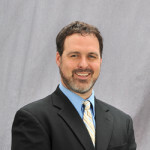 On Tuesday, Freshwater said the landlord asked that the family move out by the end of February. The family had been renting the home month-to-month. Freshwater said he didn’t know if the leak had something to do with the request to move. According to the U.S. Fire Administration, more than 150 people a year die from non-fire related accidental carbon monoxide poisoning. Last year, three people died over a two-month period in a Boone hotel room when the gas leaked up from an improperly ventilated pool heater. It wasn’t until after an 11-year-old Rock Hill boy died that officials discovered carbon monoxide had killed the guests. Cars, generators and fossil-fuel burning appliances, such as furnaces, stoves and water heaters, can leak carbon monoxide. Gary Styers, Mooresville fire marshal, said the town sees an increase in the gas-related calls during the winter as residents heat their homes. Last month, Mooresville Fire-Rescue partnered with BRK Brands, an Illinois home-protection company, to give away 100 carbon monoxide alarms to town residents. Curt Deaton, Mooresville fire chief, said the department has dished out fewer than 10 so far. He said firefighters would give them out on a first come, first served basis. 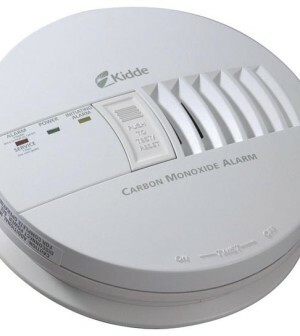 According to N.C. statute, carbon monoxide alarms must be in all rented homes and any new residence with a fossil-fuel burning heater, appliance, fire place or an attached garage. Most alarms cost between $30 and $40. Freshwater said he’s checked the batteries several times in his home’s smoke detector but had never bothered to look at them in the carbon monoxide alarm hanging just inches away. Now he’s urging everyone to do it. “A matter of a couple dollars in batteries could have cost my family their lives,” he said.